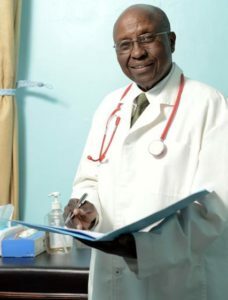 Dr. Karo is an active member of Melchizedek Hospital; he serves as its chairman between the years 1999 to the present. He has been chairman in pediatrics for Gertrude’s Hospital and Mater Hospital. He is currently Chief of Paediatric at the Karen Hospital and Melchizedek Hospital. This position developed in him a quality culture which trickles down to each team member of Melchizedek, enabling them to deliver exceptional service with incomparable quality. He has been an astute businessman and marketed Melchizedek Hospital extensively, not only has he received positive media attention through local dailies and magazines but also through local radio and television stations.